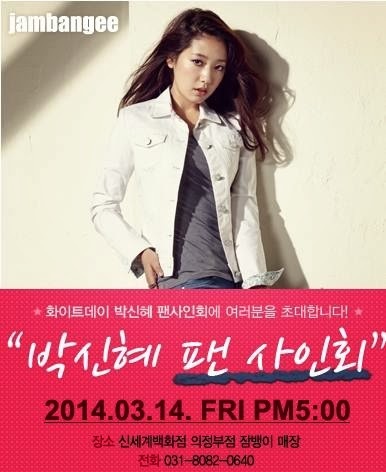 Jambangee White Day Event with Park Shin Hye! 14 March 2014 5 p.m. at Shin segae Dept. Store.